When visiting New York in 2011, I had the chance to not only hear many great concerts but also to play at some of the most famous jam sessions in the world. My favourite hangout spot turned out to be Smalls, a small but reputable jazz club. The encounter in Smalls has led to a series of concerts and recordings in Holland, Belgium and Germany, of which this cd is the final result. Many people have contributed to this release through crowdfunding. Not only has this financially helped its realization, it has also showed your broad support. I thank you all! Ellister makes you forget her instrument. She doesn’t play the trumpet, she plays music. There’s no struggle in her playing; the notes come out effortlessly, as if inventing them and executing them perfectly on the horn is no big deal at all. I’ve heard her with Dixieland-outfits, as a soloist in modern jazz combo’s and leading flashy horn sections and each time, it was like she is simply unable to play even just one unmusical note. Ellister ís jazz, and styles don’t mean anything to her. 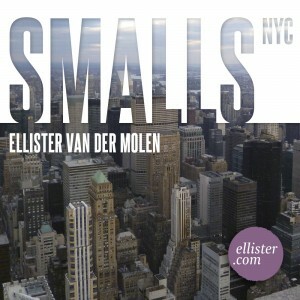 Her musical range goes from Bix Beiderbecke by way of Bobby Hackett, Miles, Chet and Lee Morgan to… indeed: Ellister van der Molen.